See prices in event description. Additional fees may apply. Non-professional cameras are permitted for this performance (35 mm or smaller, no detachable lenses). 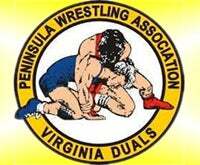 The Peninsula Wrestling Association hosts the 39th Annual Virginia Duals Wrestling Tournament at Hampton Coliseum. The team advancement concept started in Hampton, Virginia with the Virginia Duals in 1981 and is now used by Virginia and many other states to determine the best high school team in the state. The National College Wrestling Coaches Association also recognized the value of the Team Advancement concept and now has the National Dual Team Championships to recognize the best college team in the nation. The Virginia Duals Wrestling Tournament is the largest college and high school tournament in the world. For more information, visit virginiaduals.mattalkonline.com.